Hop on Metro-North for two hours to Poughkeepsie, where you’ll find the village of New Paltz and historic Mohonk Mountain House perched on a cliff. The 136-year old National Historic Landmark and Historic Hotel of America is a stunningly renovated castle with all-inclusive activities for the whole family, including boating, golf, tennis, a spa, hiking trails and yoga. Hike Mohonk Preserve or Minnewaska State Park for a step into nature. Contact Mohonk Guest Services for trips to and from the train station. Amidst the surge of Manhattanites flocking to the Hudson Valley, Cold Spring remains an unspoiled, charming riverside village. 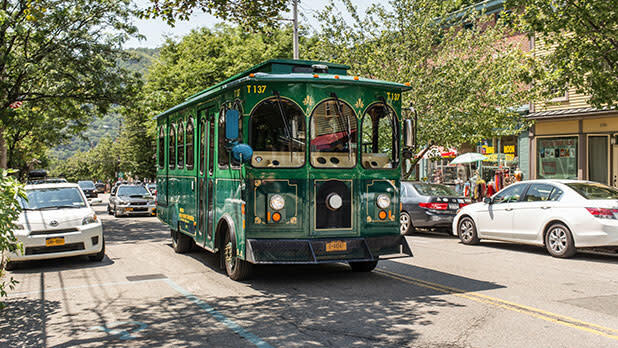 Hop on Metro North and within an hour you can kayak with Hudson River Expeditions, hike Breakneck Ridge in Hudson Highlands and explore Main Street’s eclectic boutiques and farm-fresh eateries like Hudson Hil&apos;s Café. Make this your no-fuss day trip or a spontaneous weekend getaway by staying at the Pig Hill Inn and exploring nearby historic treasures like West Point. Bursting with new restaurants and boutique hotels, Hudson is the ultimate car-free destination for the New Yorker who wants to dine like royalty without the hassle of the city. With 300 historic buildings, 51 antique shops, a scenic waterfront and 10 performance spaces – it’s not a bad place to spend the night. Hop on Amtrak at Penn Station for two hours to Hudson Station, then walk 10 minutes into town. How does sitting in a quaint winery, sipping a glass of locally fermented chardonnay overlooking a vineyard sound? Create this scene in the North Fork, just a two-and-a-half-hour trip on the LIRR from Penn Station to Mattituck. 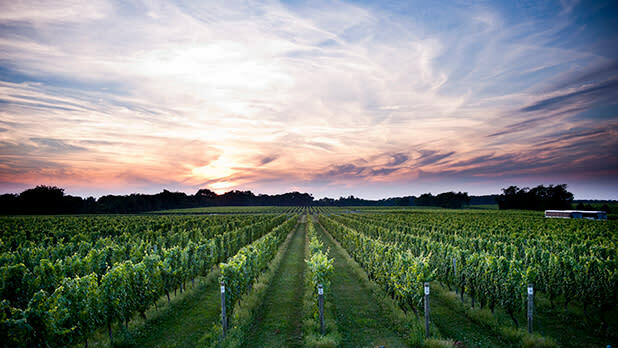 There are countless award-winning wineries to explore in this Long Island peninsula, as well as parks, trails and beautiful beaches. Once you get to the train station, the wineries are just a 10-minute cab ride away. 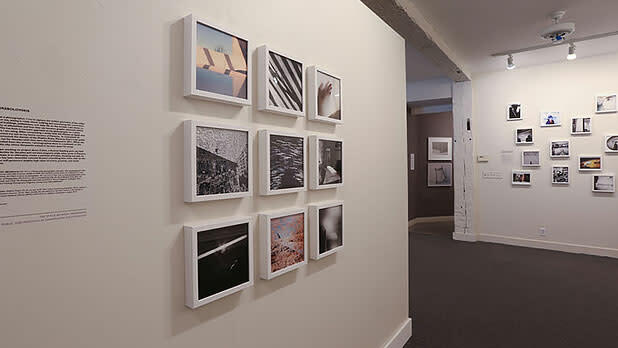 Named for the signal fires atop Mount Beacon during the Revolutionary War, this riverside boom town will have you hooked from its revitalized downtown to its thriving art scene. 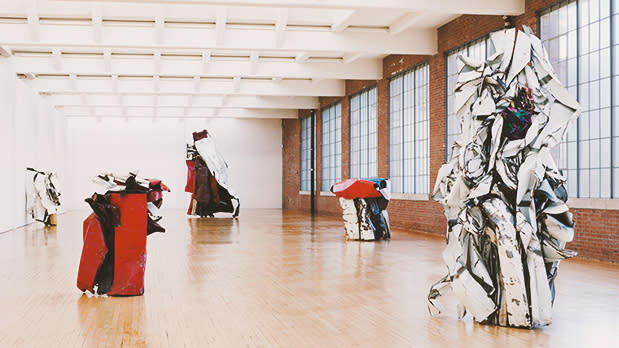 One hour on Metro North brings you to its lively waterfront at Long Dock Park where you can kayak on the Hudson River, visit the renowned Dia:Beacon or explore its walkable downtown that’s chock full of boutiques, galleries and artisan cafés. History comes to life at Madame Brett Homestead and outdoor enthusiasts will love hiking in nearby Hudson Highlands. Book your stay at The Roundhouse because let’s face it, you’ll want to stay a while. A colonial era port town turned waterfront vacation spot, Port Jefferson is known for its coastal downtown that’s colored with boutiques and restaurants. 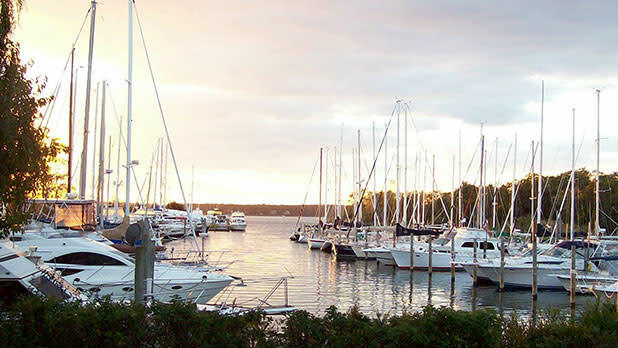 If you’re not tasting craft beers at Port Jeff Brewing Co. or exploring the walkable village, you’re enjoying the sea salt breeze from Harbor Front Park or counting the white sails along the marina from the Port Jeff Harborwalk. Escape to McAllister Park, a hidden cove to the north of the village, where the golden dunes meet the crystal coast. Make this your next weekend getaway by riding the LIRR Port Jefferson Line from Penn Station and walking (or taking a quick cab) to this picturesque port town. Biking, hiking, boating, museum-going, live music and horseback riding await you in Woodstock, just a three-hour bus ride from Manhattan. Say goodbye to the hustle and bustle and relax in endless acres of nature, with countless activities at your fingertips. 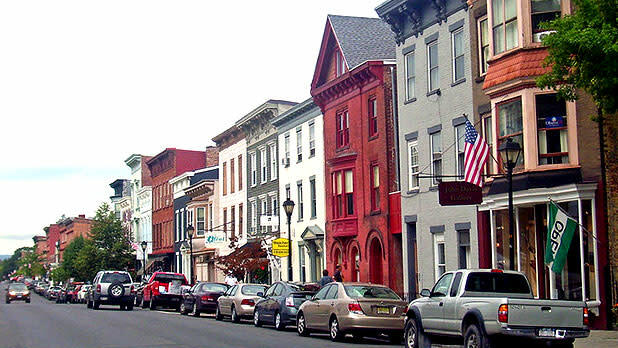 Whether you’re into fishing and scaling peaks, or hitting the Center for Photography at Woodstock and listening to live music, Woodstock is the most walkable town in the Catskills, with an activity for just about everyone. To get there, take the Adirondack Trailways bus to Woodstock - the bus stop is in the center of the town. Take the Adirondack Trailways bus five hours north for a quiet weekend in the Adirondacks. Head to downtown Lake Placid to experience Mirror Lake, the Olympic Sports Center and Lake Placid Brewery, which are totally walkable from waterfront stays like the Mirror Lake Inn. 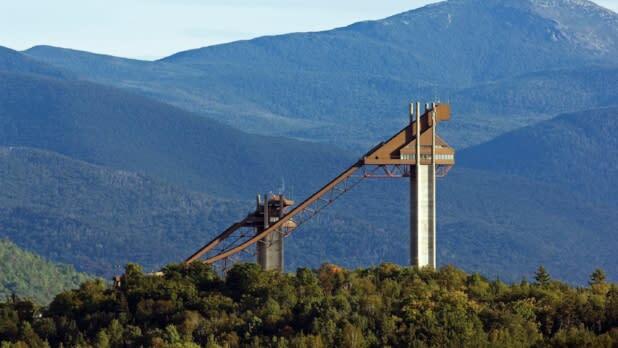 While you&apos;re in town, make sure you see the Olympic Jumping Complex and nearby Whiteface Mountain for some real life time travel to 1980 and 1932 Winter Olympic Games. Prefer a train ride? The Amtrak train runs from New York City to Westport, forty miles from Lake Placid. Transportation can be arranged from the Westport train station to Lake Placid through Amtrak Thruway Connecting Services. Sleepy Hollow is the perfect day trip for New Yorkers that love history. Visit Philipsburg Manor, a farm and mill dating back to 1750, then pay a visit to Sleepy Hollow Cemetery. 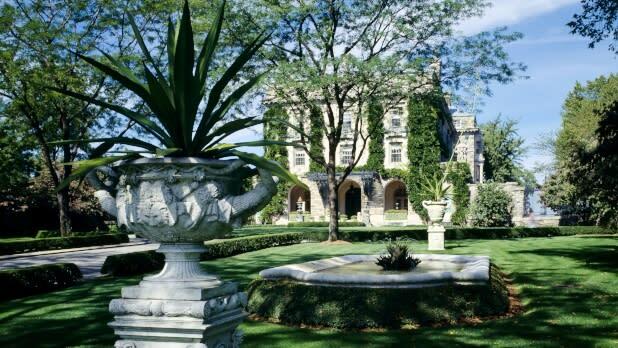 Explore the walkable village lined with shops and restaurants or tour Kykuit: The Rockefeller Estate that is home to elaborate gardens and architecture. The best part about this trip is the proximity - take the Metro North 30 minutes out of the city to Tarrytown to get there, then take a short taxi ride to Philipsburg Manor and more Sleepy Hollow treasures. 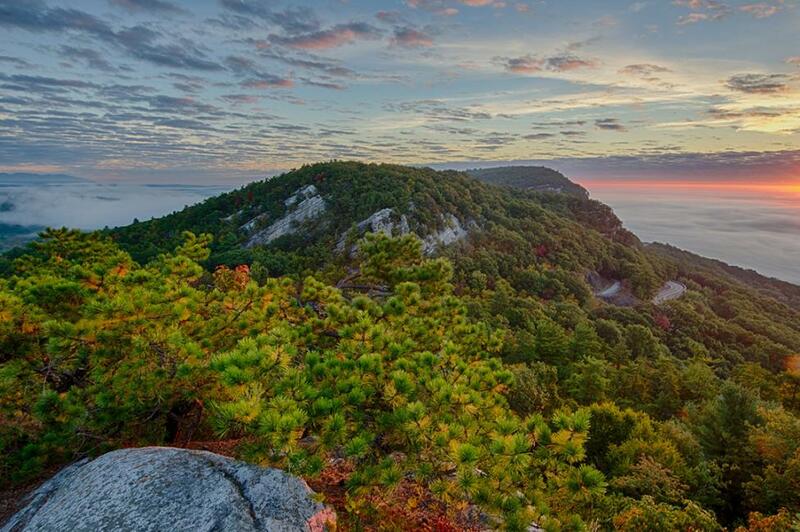 New York’s second-largest state park with over 46,000 acres filled with 31 lakes and 200 hiking trails, Harriman State Park is the perfect weekend hiking trip destination out of New York City. Take New Jersey Transit’s Port Jervis Line out of Penn Station to Tuxedo (a 90-minute journey), then the Harriman Shuttle Bus to the trailheads. Don’t forget your picnic basket.